Heian society in a collection of witty anecdotes, shrewd character sketches, lyrical diary entries and 164 lists. Things" and "Things That Make One's Heart Beat Faster." 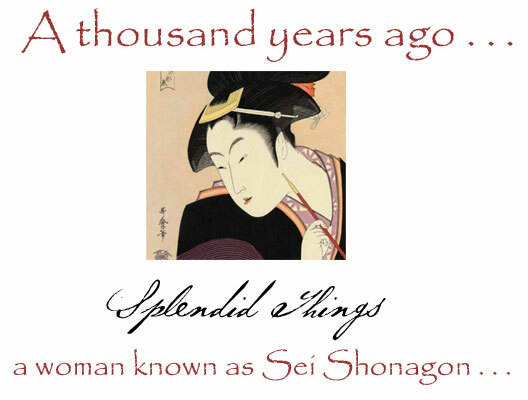 down through 10 centuries and comes to us now as "The Pillow Book of Sei Shonagon." Keep your own list of simple splendid things. . .